I’m SUPER excited about this event launching in celebrating National Tap Dance Day. Tap Jams used to be very common in NYC. Deeanas, La Cav, La Plac, the Internet Cafe, Showman’s, Cafe 41, Swing 46, and Small’s all hosted weekly or monthly events, often concurrently. 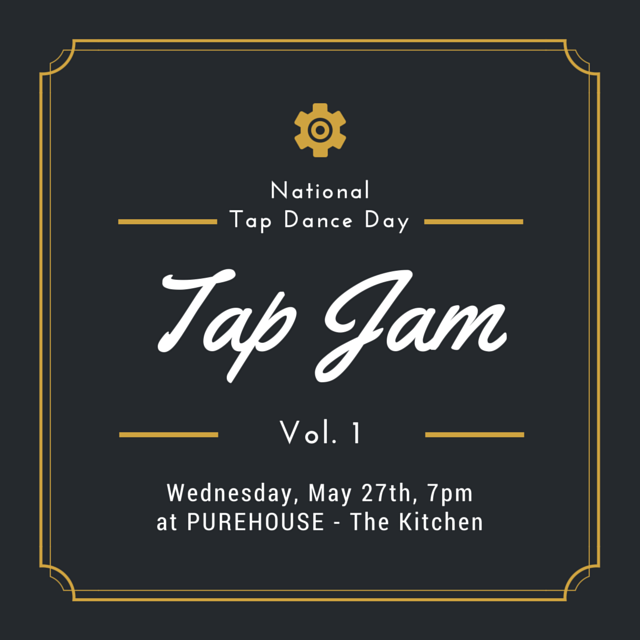 Believing that the Jam Session is the best place for audiences to get an intimate look at tap dance, and for dancers to work out their improvisational chops, the Tap Legacy Foundation and PureHouse – The Kitchen have partnered to present Tap Jam Vol. 1. A killer jazz band and intimate setting will set the stage for an evening of improvisation and bright moments!! Come join us! !